D. Kyle Stearns is a ‘wet basement prevention’ specialist. There are a number of reasons you experience water accumulation in your basement. Many of our rural clients have called us out because water leaks into their basement after wet weather. Sometimes the culprit is clogged gutters, causing rain water and roof runoff to spill water right next to your foundation. Sometimes water will be diverted toward the foundation due to incorrect grading. Land that slopes inward toward the house causes water flow right to your foundation. Poor site drainage that is not corrected can actually lead to foundation collapse. As a licensed drainage solutions we install Curtain Drains, Foundation Drains, Catch basins, Culverts, Rain Gutters, and Underground gutter drainage. As a full service excavation company, we inspect and correct the grading around your house. If you have a wet basement, ponding, puddling, erosion, or other issues, give us a call. 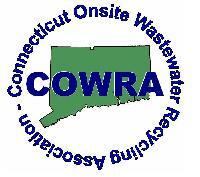 D. Kyle Stearns Contracting is the leading drainage contractor serving Storrs CT and towns in surrounding areas. 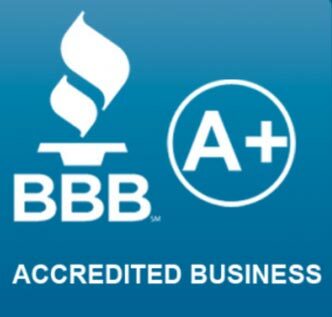 Call 860-450-1592 for a consultation today. 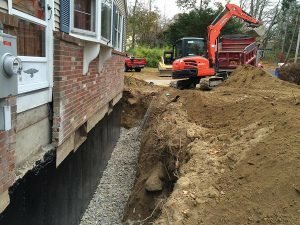 Wet Basement Prevention | Storrs CT | D. Kyle Stearns Contracting Inc.